The Youth Advisory Board (YAB) came together for their first meeting of the year in August. The members had a board orientation going through expectations for the year, and then they proceeded with the meeting. 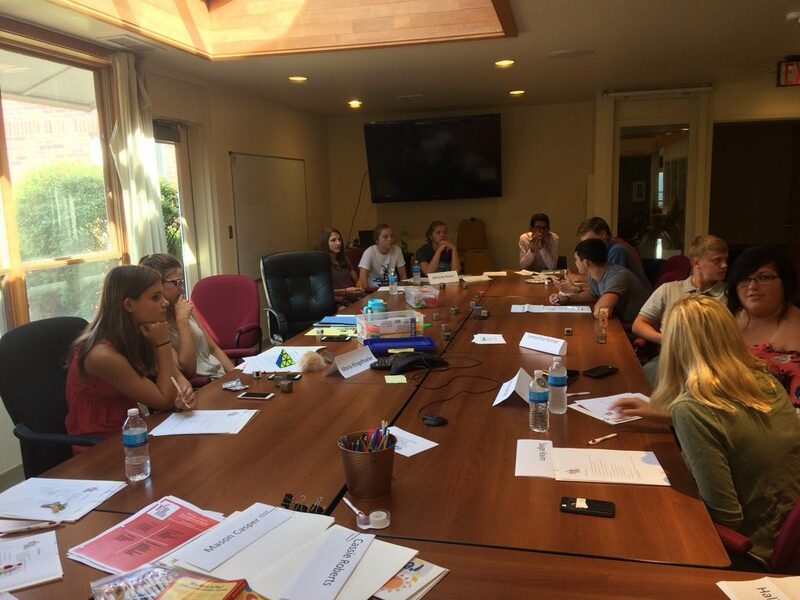 “Our meeting was very informative and I think it was a great start to the new school year! 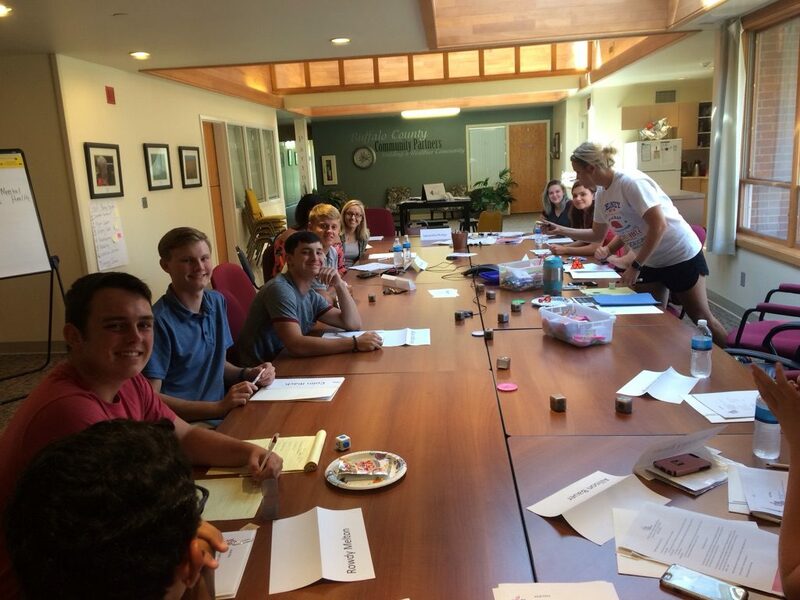 I’m so excited that there are new faces and new ideas,” said Maria Klingelhoefer, senior YAB member from Amherst. YAB members discussing what issues are happening in their schools in Buffalo County. The group began with introductions and some time getting to know one another. The YAB meetings will be led by the youth, so they were taught by Youth coordinator, Josh Arias, how to lead meetings and take minutes. They discussed how they would like to pick leaders for each meeting moving forward. Mental Health group – They discussed engaging administrators in trainings like youth mental health first aid. They want the administrators to be able to look for signs of poor mental health in students. The group decided that self-care is an important part of mental wellness that they might not be getting taught at school. The group wants to bring in trainings to the students for mindfulness, meditation, or yoga so they can learn to self-regulate their emotions. Substance Abuse group – Last year the group started creating a web site of resources for students to use and refer their friends too about substance abuse prevention. This year they want to take the website into schools and perform demonstrations to show students how to use it. They want to receive feedback from students as well and see if this is a tool they would refer a friend to. The group talked about how to have measurable outcomes from the resource website. They talked about creating polls or surveys to see if their site is making a difference. 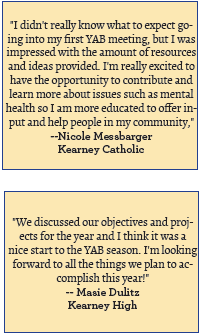 YAB members will meet once a month to discuss and work towards their goals. “I thought it was really fun getting to know everyone. 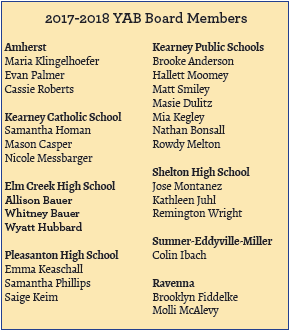 I am excited to be involved with a group like this,” said Sage Keim, new YAB member from Pleasanton.